5 x 25 3/4 x 15 in. This item consists of the manufacturer's original CPU unit box.. 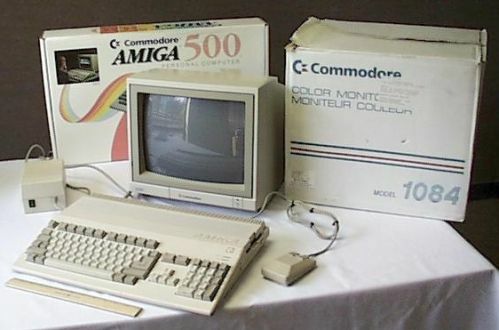 The box is marked with the original retail price of the CPU-unit system, $599.00, and some system features, on a white adhesive tag on the top of the box.. The serial number of the CPU unit that was sold in this box is printed on a silver adhesive label on the front edge of the box. 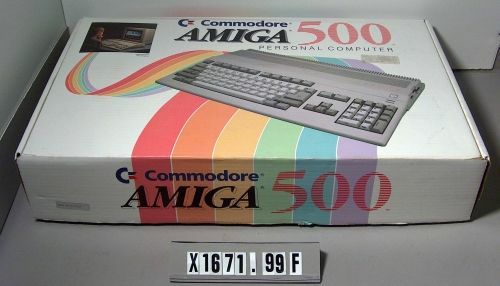 The serial number, CA1062620, matches the serial number of Object X1671.99A, the Amiga 500 CPU unit that was found in and is stored in this box.